This innovative and unique product has just launched into the event, installation, production and rental markets and is already an overnight success! 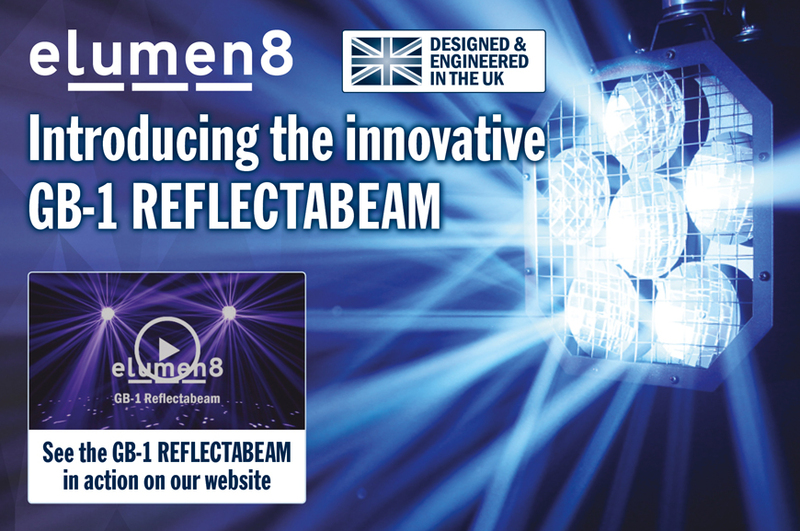 The eLumen8 GB-1 Reflectabeam will transform beam effects forever, and is currently one of the hottest product releases, with orders being taken in the UK, Europe and internationally. 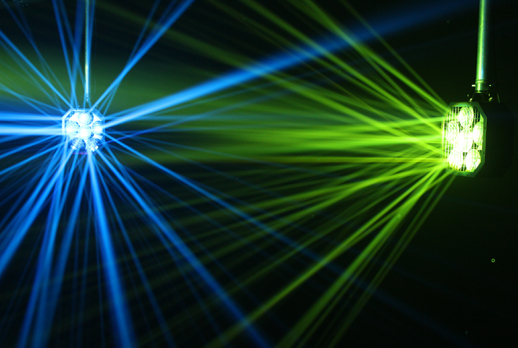 This new fixture has to be seen in action to really appreciate the amazing effects created. Please see the video below or our website for more information. “We are extremely proud of the design of the GB-1. The unit was created from an idea by our own engineer Geoff Goddard, using parts from other fixtures to create the prototype. 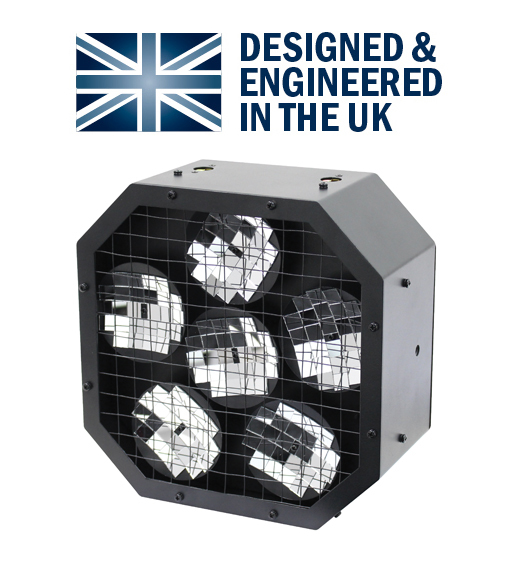 To finally see the finished fixture and the fast uptake in orders is absolutely superb”, says Bernie Marsh, General Manager, The Prolight Concepts Group. Inside the fixture’s robust, metal and fan cooled housing are six individually controllable multi-faceted dishes, which can be rotated continuously in any direction at variable speeds. 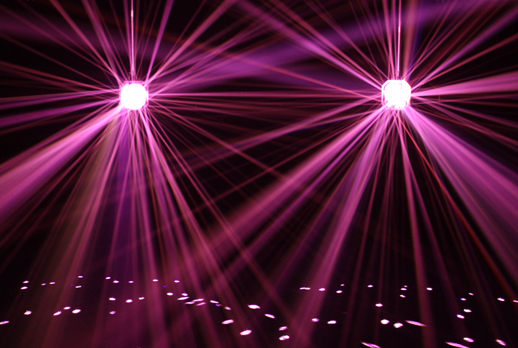 When strategically placed, the Reflectabeam can have beam effects aimed at it, producing a multitude of bright pin sharp shards of light that are reflected across walls and floors, adding a new dimension to venues, dancefloors and stage sets.